Last weekend, HANTSAR and Hampshire Search and Rescue Dog Team (HSARDogs) joined forces with Hampshire Police Special Constabulary (Specials) to train 20 Specials in search techniques, water safety and casualty evacuation. The initiative came following a successful joint exercise last year where the Specials Chief Officer decided the Specials should receive enhanced training to enable them to work effectively within the Lowland Rescue team structure alongside HANTSAR and HSARDogs. Over the last few months, HANTSAR has been working with the Specials to develop a training package to provide them with search skills necessary to assist in the search for missing vulnerable persons. The trained Specials will be able to deploy, with Lowland Rescue, on live call-outs. 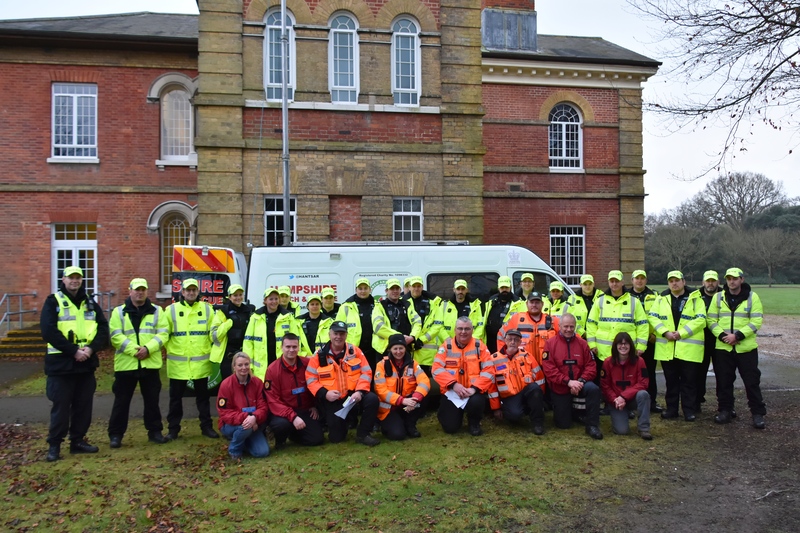 Tony Privett, Chairman of HANTSAR said: This is an innovative initiative that combines volunteers from both police and Hampshire’s Lowland Rescue units which can only enhance the chances of finding vulnerable missing persons.